"There's an arrogance about these meets in England. There's something wrong. 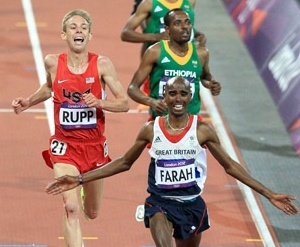 The attitude seems to be, 'We've got Mo Farah so we don't need anyone else.' Birmingham has a big West Indian community and you would have thought they would want to see Yohan Blake or Warren Weir or some of the other Jamaicans." "This friendly stuff doesn't work. If you're friends with this manager (Ian Stewart) you get to have your athletes come in. If you're not friends, you don't get to be invited. You have to be in the boys' club." - Cubie Seegobin, the agent for Yohan Blake, blasting UK meet director Ian Stewart for insulting his star client by offering him only $40,000 to run in England. Steve Spence continues his 37 year streak of sub 5:00 min. 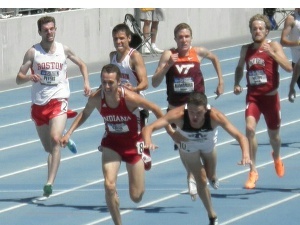 mile with a 4:52.9 Story Inside! Steve Spence Continues His 37-Year Streak Of Sub-5:00 Min. Mile Tonight With A 4:52.9 - Story Inside! 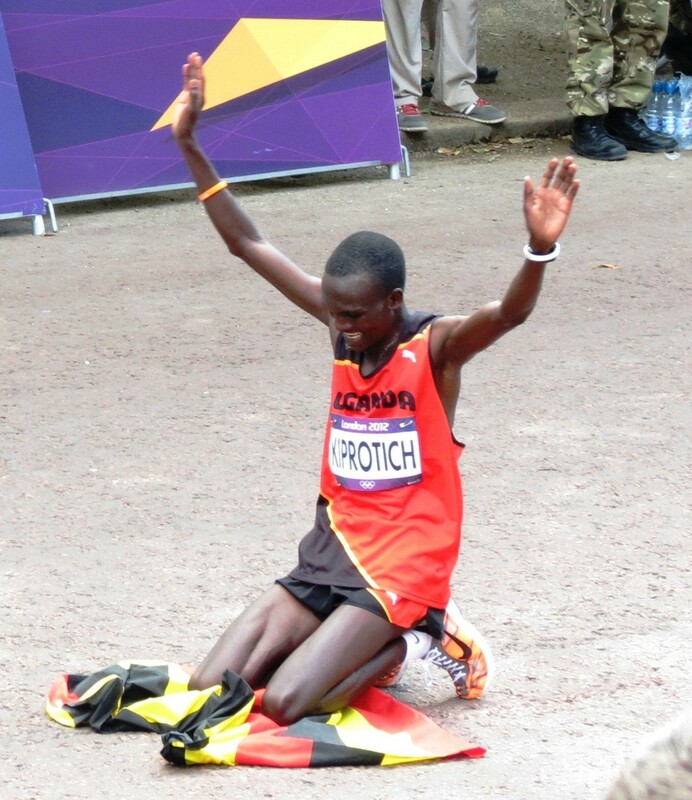 Recommended Read Japan's 2:07:48 Marathoner Arata Fujiwara, Who Beat Stephen Kiprotich In Tokyo, Reflects on His Olympic Marathon Disaster "In the marathon you have to run with clean, beautiful movement in a good rhythm. If your form is off then it's not going to go well." and "I have a kind of outlaw existence in the Japanese athletics world, so I imagined that if I screwed up I'd be pretty widely attacked." Deceased Australian Sprinter Who Stood In Solidarity With Tommy Smith And John Carlos In 1968 Gets Apology From Aussie Govt. US News: Ajee Wilson Deferring College, Lukas V Rehab, Rupp AR Attempt, Detroit Olympics? 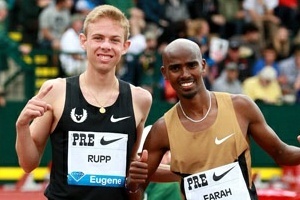 Galen Rupp Video Interview: "Looking back I think if I had started my kick a little sooner I would have had a chance [to win the 10,000]." "With 300 to go, I probably should have just gone for the front and went for it." Says he might go for the 5,000 AR in Zürich. 800 World Junior Champ Ajee Wilson Defers College To Pursue Spot On 2013 World Team, But Says She's Not Turning Pro She had previously declared for Florida State University. 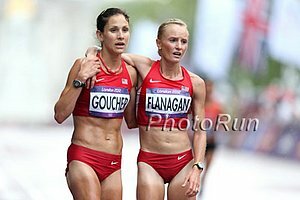 Kara Goucher: "Leading the Olympic Marathon for 12 miles is the biggest thrill I have ever had in my career." "This was a moment in my lifetime that would never be replicated." Q&A With Brett Gotcher, Who Was The Official Olympic Marathon Alternate When asked if he thought he should have been in there given that Hall and Abdi dropped out, he said, "Those guys earned the spot. I missed my chance at the Trials ... I don't blame them at all." Could Detroit Host The Olympics? They actually were the IOC's 2nd choice behind Mexico City back in 1968. Molly Huddle Could Make A Move To The 10,000 For The Rio Olympics She'll be 31 in 2016. 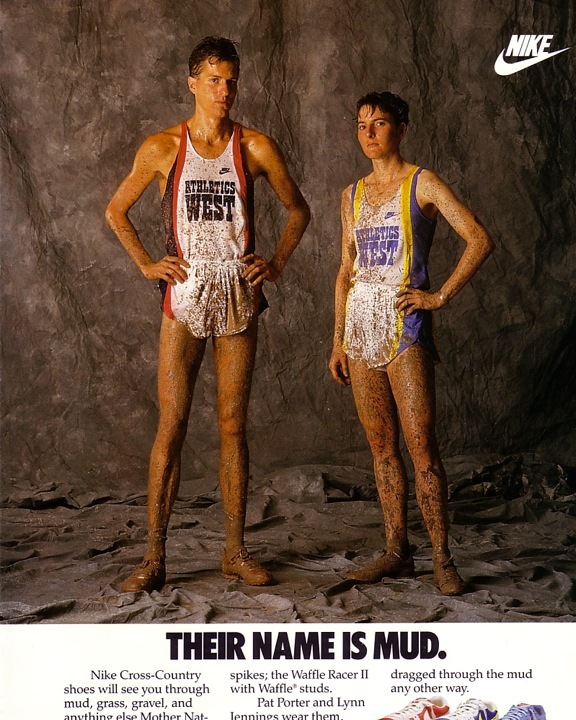 Seb Coe Lists His 50 Favorite Olympic Moments Mo Farah, Allyson Felix, and of course David Rudisha highlight the list. On Felix, he said, "She is a sprinter who restores your faith in the purity of sport. She is definitely not from the bodybuilding school of sprinting but runs with the grace of a gazelle." 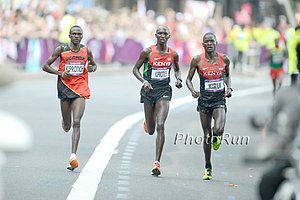 Video Interview With Sally Kipyego Talking About Kenyan Team Tactics She emphasized how hard the Kenyans train compared to Americans and said they think her training is "easy." Sad News: Somalian 2008 Olympic Sprinter Samia Yusuf Omar Drowns In Boat Accident She was supposed to run in the London Games as well, but died just a week before. 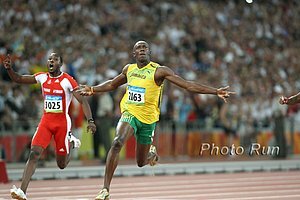 Paper: "Jamaica: The Sprinters Paradise" College professor offers his theory for Jamaica's recent dominance of sprinting events. 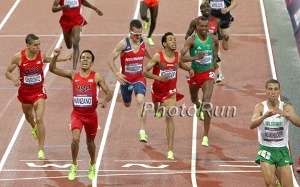 IAAF Preview: A Fantastic Meet Will Take Place On Thursday - 13 Gold Medalists Including Usain Bolt + Silver Medalists Leo Manzano Vs. Galen Rupp At 1,500 The should be very entertaining as everyone's post-Olympic hangover should be out of their system by now. In the 1,500, Silas Kiplagat will be looking for redemption as Leo Manzano and Galen Rupp try to prove their silver medals were not flukes. Savinova vs. Jelimo at 800. Kim Conley, Shannon Rowbury, Jenny Simpson in 3,000. Yohan Blake Vs. Tyson Gay in 100. We apologize as this is the first Diamond League meet all year we haven't previewed ourselves. *Pamela Jelimo Will Get Another Chance At Russian Olympic Medallists Mariya Savinova And Yekaterina Poistogova In Lausanne Donn Cabral will face Paul Koech and bronze medallist Abel Mutai in the steeple. *Nick Willis Looking Forward To Lausanne 1,500m After Fast 1,000 Galen Rupp, Leo Manzano, Matt Centrowitz in there too, as well as Kenyans Silas Kiplagat and Nixon Chepseba. Bolt Won't Race Blake The Rest Of Year Imagine if Federer refused to play Nadal. Birmingham: Good Matchups Set For Birmingham Mo Farah up against Bobby Curtis and David Torrence in 2 mile, Vivian Cheruiyot and Sally Kipyego in 3,000, an interesting LJ which includes Olympic champ Greg Rutherford, Olympic TJ champ Christian Taylor and Will Claye, Morgan Uceny and Anna Pierce in 1,500, all three 110 hurdles medallists, Mariya Savinova vs. Pamela Jelimo and Maggie Vessey/Molly Beckwith, Christine Ohuruogu vs. DeeDee Trotter, as well as a lot of the names from the Lausanne men's steeple and 1,500. 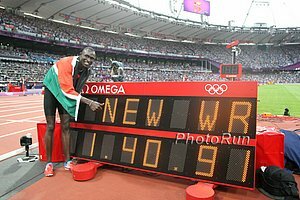 Zurich 8/30: YouTube Man: Kenyan Jav Star Julius Yego Looking To Continue His Breakout Season At Zurich DL August 30th Yego made history in London when he became the first African to make the Olympic final and set a continental record. 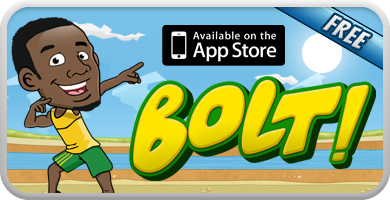 Ricky Simms On Bolt's Marketing Opportunities: "Of course, he's going to be competing for the next four years so he can't turn into Kim Kardashian. 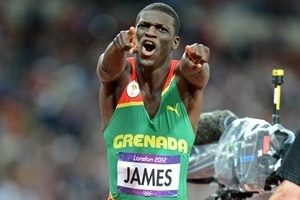 He still has to be an athlete." 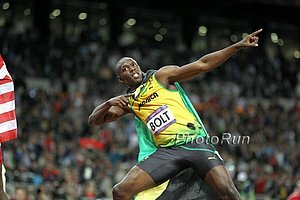 Usain Bolt Might Have Won Three Gold Medals, But He Only Got 2nd In The Social Media Olympics UK diver Tom Daley attracted the most followers on Twitter/Facebook and Michael Phelps was 3rd. Or Not ... Olympic 800 Champ Mariya Savinova Feels Disrespected By Her Hometown Region They refuse to give her the Olympic prize money promised to medallists for the region since she's also registered in two others. UK's Bronze Medallist HJer Robbie Grabarz Says The Sound Of The Home Crowd Cheering For Him Was Actually "Scary" "A track athlete gets that once and then they race, whereas I had it repeatedly, even during my warm-up. I don't think I'll experience pressure or an atmosphere like that again in my whole career - no matter what I do or where I go." Impressive 9-Year-Old: Canadian Marathon Adds Age Restriction To Barr 9-Year-Old Tyler Heggie From Entering He's already run at least 2 other marathons (including this one last year as an 8-year-old). His fastest is 4:26. Head Kenyan Coach Julius Kirwa Has Asked The Government To Ban Foreigners From Training In Kenya And Learning "Kenya's Training Tactics" He cited those such as Mo Farah, Stephen Kiprotich and Taoufik Makhloufi, who've used training in Kenya to win medals.